A few months ago, I commented to a friend that people looking for handouts at street corners and interstate intersections seemed to be better dressed these days. Until recently, my friend taught at one of the community colleges in Phoenix. His observation shocked me. From what he had seen on the job, chances were good, he said, that many of the new breed of panhandlers were college kids looking to support their heroin habit. We have friends in St. Louis who lost their son to a heroin overdose a few years ago. Tragic, we thought, but we never considered for a minute that he was part of a trend. Then yesterday, we all got the sad news about Philip Seymour Hoffman. I was in college during the late ’60s and early ’70s, and of course, many people were experimenting with many kinds of drugs. Still, almost everyone seemed to understand that you didn’t want to mess with heroin, especially after Janis Joplin and Jimi Hendrix both died from overdoses. You’d like to believe that a lesson like that would live from generation to generation, but it obviously doesn’t. Addiction is a demanding god, and it has to be fed. It’s cheap. That seems hard to believe, but when compared to prescription pills like oxycontin, heroin is a less expensive habit. It’s everywhere. Heroin is readily available on college campuses, CNN says. The Drug Enforcement Authority reports that the amount of heroin seized at the Mexican border tripled between 2008 and 2012. It’s potent. It does the trick, and for those addicted to it, it’s an attractive high. There’s no way of knowing exactly what you’re getting from bag to bag. With one bag being more potent than another – or mixed with who knows what – using heroin is a lot like playing Russian roulette. It’s hard to kick. You can’t just walk away from heroin, so for a dealer, repeat customers are virtually guaranteed. The uptick in users is real. 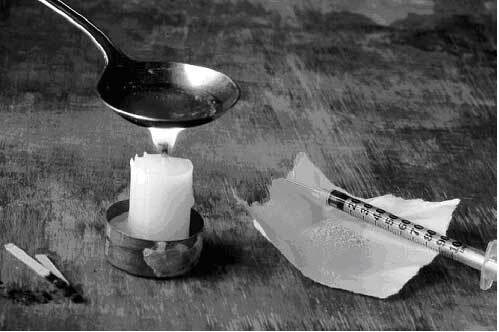 An annual government survey found in 2002 that 166,000 Americans said they had used heroin. In 2012, that number jumped to 355,000. This is one habit that dies hard. Don’t be tempted to flirt with it. This entry was posted in Health and Fitness, Society. Bookmark the permalink.